Original era manufacture. 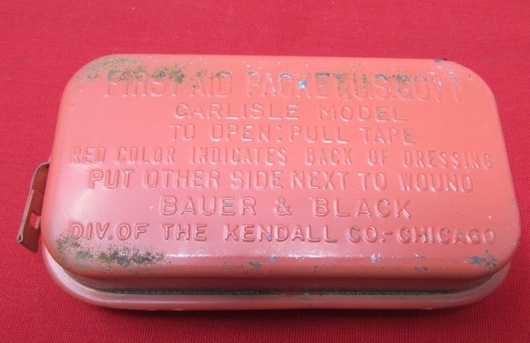 Standard Carlisle bandage but with a red (matt orange) painted exterior instead of the more commonly seen OD finish. Unopened, minor surface corrosion as shown.